"Freedom Isn't Free": A Loving Playlist for the American Heroes of "South Park"
I love that Matt and Trey do not care who they offend in the pursuit of amusing themselves and a watching world. I support them with all my heart & soul right until the point where it puts me in any actual danger. I imagine that Rolling Stone now understands that the White House will respond very quickly the next time the commander in charge of our controversial war puts the entire operation in jeopardy over some ill-advised sass talk. Stanley McChrystal Under Fire: What Does It Mean For Counterinsurgency Strategy? Is it possible to even contemplate McChrystal being removed from his command? My instincts tell me that we're about to endure a fancy bit of White House shame-pageantry: McChrystal comes hat in hand, he and the President have a heart-to-heart, and in the end, everyone gets back to work. That's how I see it playing out if only because McChrystal has essentially become the living avatar of counterinsurgency strategy itself. The World Cup 2010 has finally grabbed my partial attention, and made me upgrade soccer to a position just below American basketball, baseball, football and tennis, but just slightly above curling and ping pong. 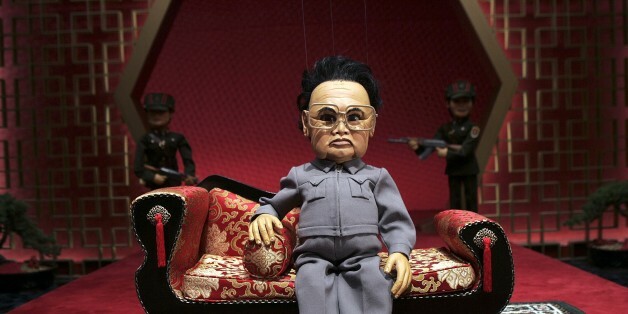 Someone should raid whatever warehouse is storing those Team America celebrity marionettes and bring them out and dangle them up and down the red carpet.